2016 Farm Guide is out – look for it near you! Looking for something to do this weekend – or any other? Why not visit a farm, a farmers’ market, pick your own local produce or eat a delicious meal inspired by local farms at one of our member restaurants?! Our annual guide to locally grown food is back from the printer and ready to help you find all the spots to get locally-produced food this season! 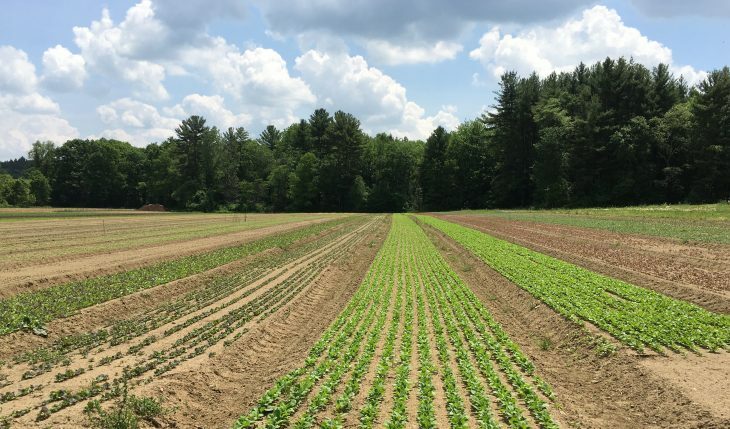 Look out for it at retail spots and farmers’ markets near you, in this week’s Shoppers’ Guide, and in the mail if you’re a Berkshire Grown member. We’ll see you at the farms this Summer! 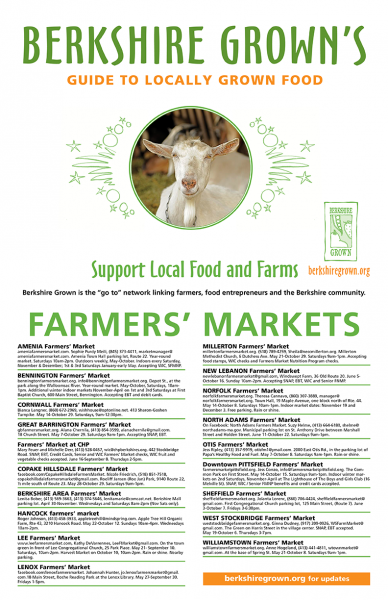 Find farms, CSA's, Farm Stands and Markets! Looking to pick your own blueberries? We can tell you where to find 'em.